This was the last session before our summer break and Kasper brought in sweets for the group. We had read 'Urban Outlaws' by Peter Jay Black which is a story about a group of teenagers who outsmart crime gangs by hacking their computer systems, using free-running skills and tech-gadgets to break into their headquarters and distribute their ill-gotten gains. 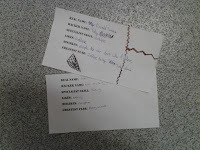 Most of the group loved the book which ended on a cliff-hanger and Zak and Toby went on to read others in the series. Clelia, however wasn't so keen as she felt the story lacked the human element. 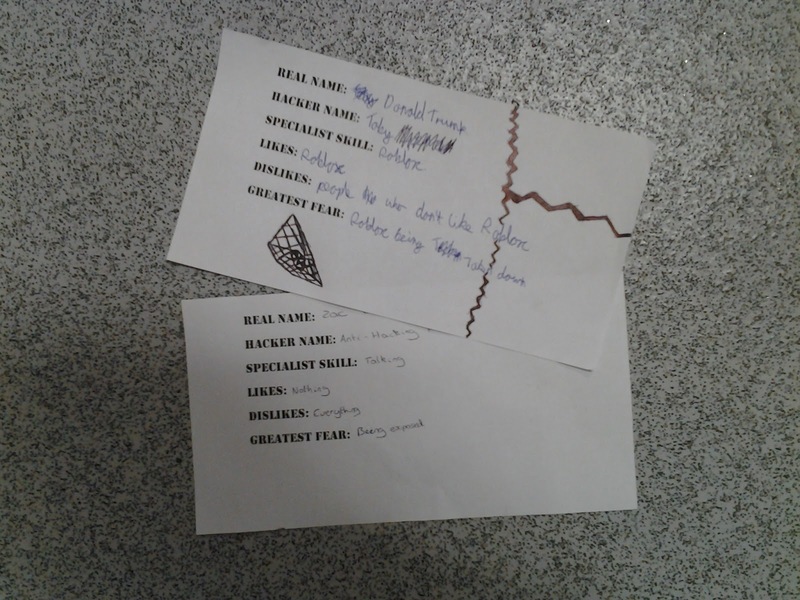 We started by making a list of our Hacker names, special skills, likes and fears, and went on to follow a trail of clues around the library, to unlock to 'top secret' box of sweets that master criminals Clare and Anna had hidden in their secret hide-away. 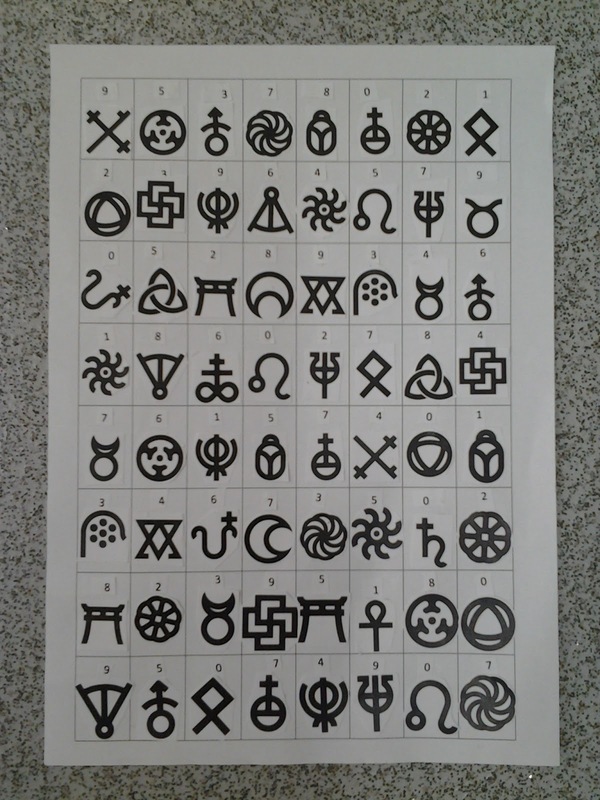 First the gang had to find the hidden map, and then an over-lay which pin-pointed the places in the library where mystical symbols were concealed. 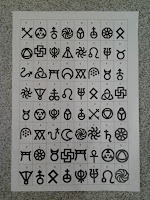 After searching the library, they then had to find what numbers the symbols represented on a decoding sheet. Once they had four numbers they again searched the room and found a key safe and put the code into it to get the key to the padlock. This was when disaster struck! Somehow the code one of the master criminals (Anna) had devised didn't open the key safe and the key could not be released! Never mind, in their desperation to get their hands on the horde of sweets, the Chatterbooks gang found that part of the crate could be prised open and the sweets could be shaken out of the crack! Sweets all round. So our last Chatterbooks session before the break had a happy conclusion after all.